Video game review number three hundred and sixty six in my 365 Games in 365 Days project is "FlingSmash". Back in January of this year, I played Sonic the Hedgehog for the 360. Even though I put in more than 15 hours, I was unable to unlock even a single achievement for it. It was near the beginning of the challenge, and that violated the rules I had set out to follow, so I promised myself that I'd play another game at the end of the challenge to make up for that failure. FlingSmash is that game. I don't mind the small cosmetic differences between the two controllers, and so I don't plan on upgrading anytime soon. As far as this game itself goes, honestly, I think the only reason people might buy this game would be to get the bundled controller. The controller costs 30 bucks by itself, so for an extra 10...you get this game. Is it worth ten bucks? Coin toss. FlingSmash is not a bad game, it's just incredibly simple. You are a little hero named Zip (or Pip, if you prefer to be a girl), but that's sort of irrelevant because the plot in this one isn't too complex. Zip needs to smash his way through blocks, trying to beat levels...and earn "pearls" which are what you use to kill the big boss. There are also mini-bosses, and you beat them by bouncing into them. Actually, you beat everything by bouncing into it. The gameplay works like ping-pong, or any other "racquet" game on the Wii. Your hero is a ball, and you swing the Wiimote to knock him into things. It's not incredibly accurate, and at times, very random....but when you do connect with the ball, it feels good. After 6 levels, I found the game to be easy, but not necessarily fun. It was very repetitive and once you've played it for a few minutes, you've played it enough to know whether or not you'll like or hate it. The guys at IGN hated it. My Overall Score? 5/10. Indifferent. This game is more of a pack-in bonus than a standalone game. 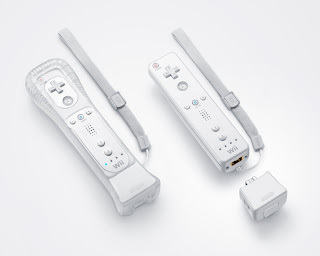 If you don't already have the little Wiimote Plus accessory and you feel like you need one of the controllers, go ahead and buy it. It's not a terrible deal. If you're not dying for the hardware, then rent this first to see if you like it. I think it was worth a rental, and that's about it. I'd never buy it, unless I was hard up for one of those new controllers.